Week 2: June Ab Challenge! 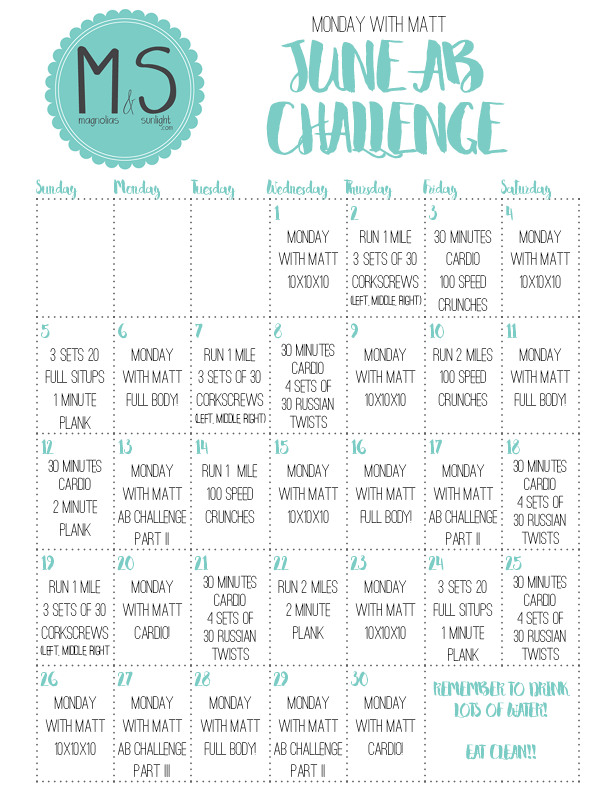 Magnolias and Sunlight: Week 2: June Ab Challenge! We're starting the second week of our June Ab Challenge!! I've been back home all week and between the weddings and graduation celebrations that I've been attending let's just say the diet hasn't been on par. I'm telling you this because even if you didn't rock the first week of the challenge like you hoped you can totally plan to do better this week. One bad day or one cheat meal doesn't mean you've failed! This is something I have to tell myself all the time and it's so easy to slip backwards and think you've ruined the whole month. Don't give up because you can't change yesterday! Focus on today and start THIS week off right! 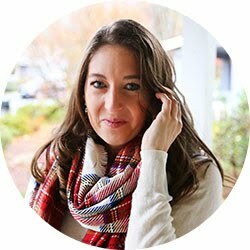 If you followed week one, I would love to hear how you're doing! I will be updating you guys later this week on how I've been getting along with the workouts. Plus, it's not too late to start! Pickup today on day one, you'll workout a little bit into July and still get the results you want! Don't forget to stay super hydrated and to eat clean! It all works together! This is awesome and I'm totally going to try it! I've been eating so healthy and working out 3-5 times a a week so I'm always looking for new workouts! Let me know how it goes!! I've been loving this workout!! We demonstrate all the exercises in the video at the top! Good luck! It's a really fun exercise and works really well, too! !